Washington Square Press, 9780743451765, 320pp. Walter Mosley is the New York Times bestselling author of five Easy Rawlins mysteries: Devil in A Blue Dress, A Red Death, White Butterfly, Black Betty, and A Little Yellow Dog; three non-mystery novels, Blue Light, Gone Fishin', and R. L.'s Dream; two collections of stories featuring Socrates Fortlow, Always Outnumbered, Always Outgunned, for which he received the Anisfield Wolf Award, and which was an HBO movie; and a nonfiction book, Workin' On The Chain Gang. 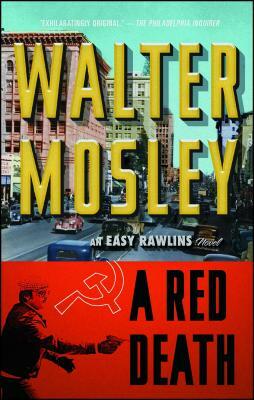 Mosley is also the author of the Leonid McGill, and Fearless Jones mystery series, The Tempest Tales and Six Easy Pieces. He is a former president of the Mystery Writers of America, a founder of the PEN American Center Open Book Committee, and is on the board of directors of the National Book Awards. A native of Los Angeles, he now lives in New York City. "The thriller or detective story, raised to a higher level...action, suspense, a well-crafted plot...fast-moving [and] enjoyable." "This is a master at work: we would be well advised to seek everything Walter Mosley writes." "A Red Death is a straightforward, cleanly nasty treat. The writing is funky and knowing, with a no-fools cast." "Mosley...is here to stay and not to be missed."